After seeing Lionel Messi rip apart yet another Champions League defence with tantalising ease a couple of years ago,the wise, old pundit Andy Gray once remarked that he’d love to see how the Argentine would fair on a dark, damp, dreary night under the floodlights of Britannia Stadium. This question has almost been turned into cliche it has been bounded about that much recently by the media and whilst Barcelona being demoted to the Europa League was never really a possibility, we will get to feast our eyes on arguably the next best thing as Aver Banega, Jordi Alba, Roberto Soldado and Adil Rami amongst others look set to make their first footballing appearance in Stoke-on-Trent in the Europa League in February. With Valencia currently sitting in third in the La Liga table, Stoke look set to have their work cut out but if there’s any team that can stop a side full of Spanish starlets playing to their potential, it’s Tony Pulis’ men. 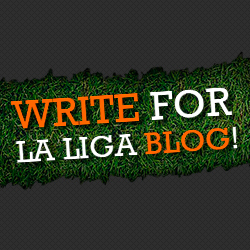 Below La Liga Blog analyses some of the key battles to look out for in two month’s time. Soldado has been a revelation since joining Valencia in 2010 and despite never cutting it at Real Madrid a few years previous, his goal threat cannot be underestimated. He is a real old fashioned poacher who loves getting on the end of driven crosses meaning Shawcross in his first year on the European stage will need to be at his very best. Arguably the most technically gifted player Valencia have in their ranks, Ever Banega isn’t shy of a trick or two and Whitehead will need to stay tight to the Argentinian at all times if he wishes to neutralise his threat in the middle of the park. There isn’t a defender in the world who wouldn’t struggle with the height and aerial prowess of Peter Crouch which means his contribution to this European tie is all the more important. But the 6 foot 3 French centre-back Adil Rami isn’t exactly small in comparison and should have the beating of Peter Crouch on this occasion. Jordi Alba has been playing some of his best football after breaking into the Spain national squad recently but his mediocre performance against England in November proves he is still some way off becoming a force to be reckoned with which will make his battle with pacey winger Pennant a very even one indeed.